Berck-Plage is located in the south of the Côte d'Opale. At the seaside, you will find a long sandy beach perfect for families. 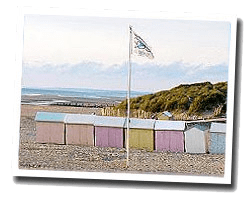 Beautiful colourful beach cabins are aligned along the beachfront promenade. Facing the beach, you can see seaside villas of the 19th. Nearby, Bay of Authie river is home to many rare species of birds and plants. 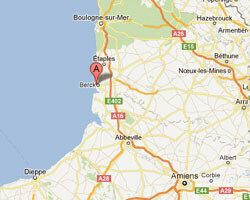 In Berck-Plage enjoy a seaview holiday rental. 2 rooms apartment 35 m2 in a residence. Balcony with outdoor furniture. Nice view of the sea and the beach. 2 rooms apartment 50 m2 in a residence. Balcony. Nice view of the sea and the beach. Direct access to the sandy beach. 3 rooms apartment 70sq. m in a residence with lift. balcony. Direct access to the beach . Shops at 100m. luminous and spacious apartment of 50 m2 in a residence on the third floor of a building located on the seafront and 600 meters from the city center (10 minutes walk). 1 Bedroom(s), 2 double bed(s). short stays possibility. Final cleaning : 30 €.